Accurate vision is an important part of performing well at work, school, and in other everyday activities. In certain cases, however, medical conditions or injury may lead to visual impairment. For individuals with functional limitations resulting from visual impairment, visual rehabilitation can improve or restore everyday abilities. The most effective model for visual rehabilitation is one in which a patient receives input from his or her optometrist, medical doctor, psychologist, neurologist, and other allied health professionals to create an individualized visual rehabilitation plan. Visual rehabilitation involves constructing an individualized treatment plan to address each person’s unique issues. In some cases, this may involve occupational therapy to make a person’s environment easier to navigate. For many patients, however, vision therapy offered by an optometrist is an excellent way to improve or fully restore visual functioning. Analogous to physical therapy for the vision system, vision therapy involves special exercises designed to retrain eye-brain circuits to perform more normally. Patients may be asked to view objects through special prism lenses, focus on an object as it moves, coordinate eye-body movements, or perform computerized tasks. 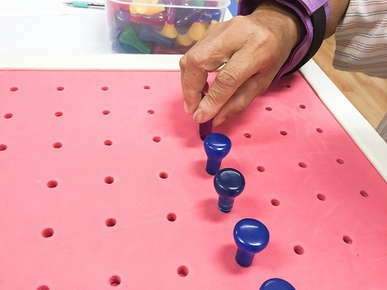 Over time, these exercises improve visual deficits and reduce functional impairment.